My drawing is about the police brutality that's been happening around the world. And needs to be stopped, this week we have been learning about inferences and problems around the world. hopefully you enjoyed my drawing. 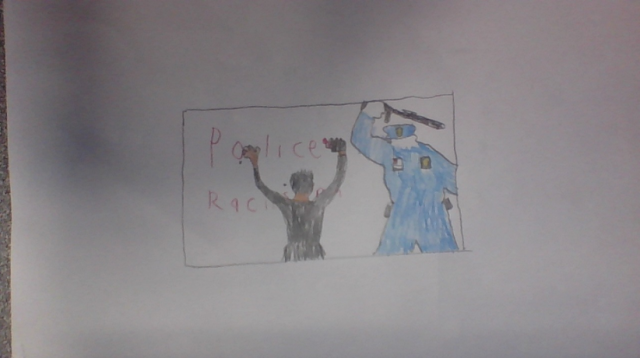 Hi Josh, I think this is a really powerful drawing about an issue that is important to you. You did a great job showing your message.